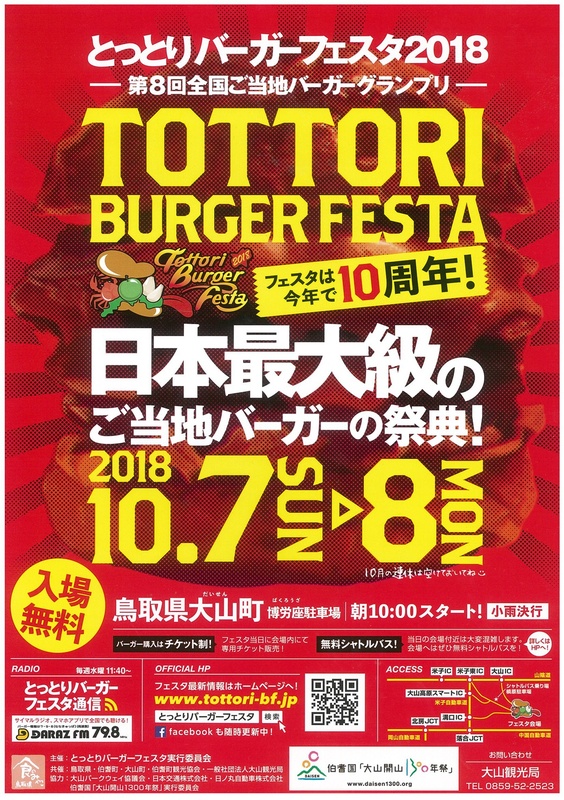 Tottori burger festa started in 2009 and has attracted lots of visitors. Unique local burgers from all over Japan gather at Daisen, Tottori. You will be able to enjoy more than 40 kinds of burgers(Food ticket required). Bus ride for 50 minutes from Yonago staion. Let's try them and choose your favorite burger!.